Problems related to the so-called “virtual currency” which is electronically traded through the Internet are increasing. There are also cases where problems are caused by investing in association with virtual currency exchange. Learn about points to be aware of when using the virtual currency so that you will not be in trouble. Virtual currency is not a “legal currency” that the country guarantees its value like Japanese yen and dollar. It is an electronic data exchanged on the Internet. Virtual currency price may fluctuate. There is a possibility that the price of the virtual currency plummets and loses. 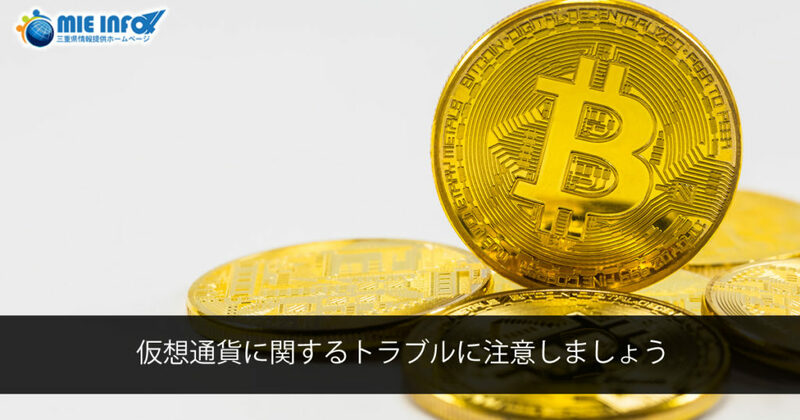 Virtual currency exchangers in Japan must be registered in the Financial Services Agency / Finance Bureau. Please confirm from the following URL whether they are a registered business operator. When dealing in virtual currency, be sure to fully understand the business description and risks (price fluctuation risk, cyber security risk, etc.). Source: Consumer Agency “Beware of troubles regarding virtual currency!